Meet radiant Ruby! Ruby joined us from a local, overcrowded facility and is awaiting her forever from the comforts of the first half of our newly renovated kennels. At roughly two years old, this sweet girl has nothing but about fifty pounds of love to give! Ruby loves life and is ready to take on the world with a forever-family of her very own. She loves to explore, go on adventures, and absolutely ADORES meeting new people! 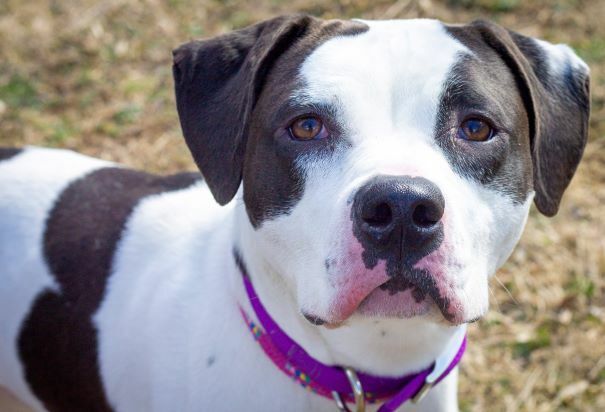 Taking some basic obedience classes would be a fantastic way to bond with this sweet lady – she just loves to learn and to impress the people around her! Does Ruby sound like she would be a great fit for your family? 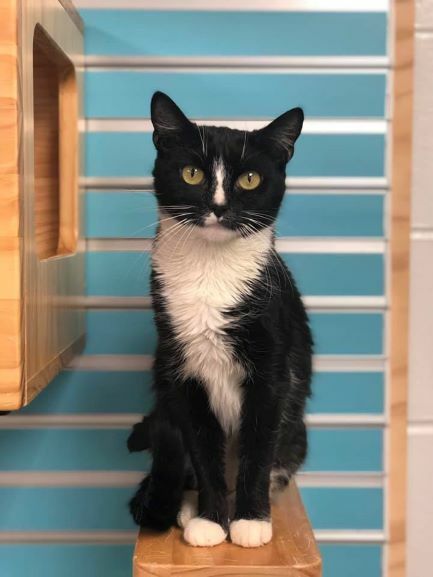 Come meet her at our lifesaving Adoption Center Media! We love to receive updates on how our previously homeless pets are acclimating to their forever-home. For some, it’s like they’ve been a part of their family’s home for their entire life – just like for sweet Tilly! Thank you for opening up your heart and home for this sweet girl and allowing her the opportunity to find her perfect fit! Have a happy forever, Tilly! You may be familiar with Providence’s annual Rescued on the Runway weekend but have you heard that we are coming up on our first ever Gimme Shelter Gala? This year, our cocktail hour has been elevated to a rock ‘n roll Gala celebrating the Building a Forever Future campaign and the furry friends we help every day, while enjoying cocktails, hors d’oeuvres, an open bar, sit-down dinner, dancing to a Rolling Stones cover band, a silent and live auction and a chance to win Rolling Stones concert tickets! Sounds pretty PAWesome right!? The event is set to take place on Saturday, April 13, 2019 from 7-11pm at The Inn at Villanova University, Radnor, Pennsylvania and is hosted by radio personality, Steve Morrison! Prefer a Sunday brunch featuring fashion, fun & furry friends? Check out our Rescued on the Runway Luncheon that is set to take place on Sunday, April 14th from 12:30-3:30 at Kings Mills in Media! We’ll be featuring furry friends – both alumni and adoptables – walking in a fashion show hosted by Fox 29’s Sue Serio, in addition to providing a three-course meal, silent auction, a wine raffle, and a cash prize raffle! Can’t attend either event but want to support our lifesaving mission? Have a look at our incredible auction items that are already available to bid on! You can see the items available for either the Gala or Luncheon. Some of these wonderful items include Disney World Hopper Passes for 5, an In the Studio Visit with WMGK’s Debbi Calton, 7 Nights at Palm Island Grenadines, Game of Thrones Wine, Whisky & Beer, as well as a Furbaby Pet Portrait Session! Tickets for the Gala and the Luncheon are available for a limited time and can be purchased through our website or by calling 610-566-1370 x267. Contact Events@ProvidenceAC.org for more information. This recent addition to Providence’s Kitty Crew is Kelp! Kelp is a three year-young beauty who joined us from New Jersey and has been working on coming out of her shell with the help of her new feline friends in our Cattery. She is a sweet and curious girl who has shown us that the true way to this girl’s heart, is with treats galore! We have loved every second that we have been able to care for Kelp and cannot wait for her future-forever family to be able to experience the same sense of joy and love that she has provided for all of us here. Kelp is up-to-date on vaccines, spayed, litterbox-trained, and microchipped. Come meet Kelp today at our lifesaving facility in Media! 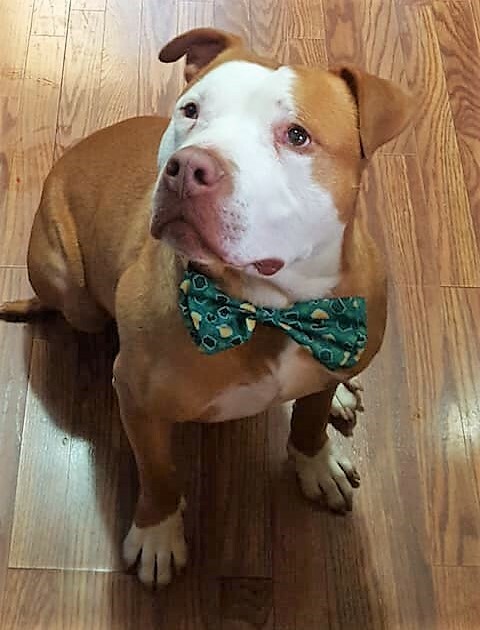 From wandering the streets of Philadelphia, to relaxing comfortably in his forever, Hambone has truly experienced his version of a Cinderella Story. 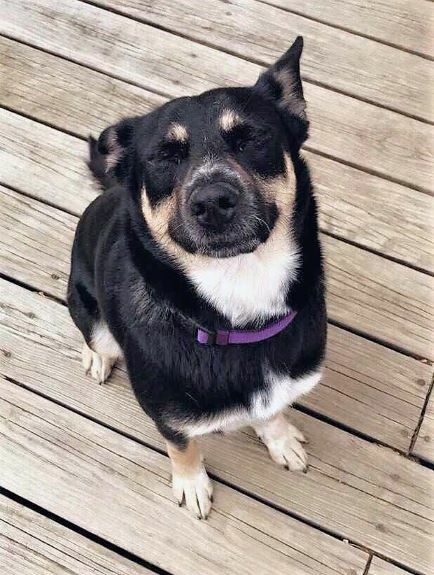 We are proud to partner with local shelters in need to be able to offer homeless pets like Hambone a fresh start at finding forever, and incredibly thankful for families like this who help make a homeless pet’s happily-ever-after become a reality!